The new iPhone will make mobile payment easier by including a near-field communication chip for the first time, the person said. That advancement along with Touch ID, a fingerprint recognition reader that debuted on the most recent iPhone, will allow consumers to securely pay for items in a store with the touch of a finger…. SOURCE: Apple Said to Team With Visa, MasterCard on IPhone Wallet – Yahoo Finance. Today being the day for the “big” announcements from Apple almost necessitates that it also be the subject of this post. A couple of years ago I downsized the wallet I used to have from a one inch behemoth that bulged from my back pocket to something less than a half-inch and the size of half a dollar bill and I found out I don’t miss all that other stuff I used to needlessly haul around. I have been waiting to move to the next stage and that is to chuck the whole wallet. It looks like with the latest Apple innovation I might be able to do that sooner rather than later. Of course soon is a relative term when it comes to our electronic gadgets. Over the years I have seen quite a bit of miniaturization in the world around me. The doctor’s office, of which I seem to spend more and more time lately, has finally gone totally digital. The dozen or so ten foot high by twenty-foot wide racks of patient records now reside on laptops carried around by the nurses. The doctors for the most part still stubbornly resist having to use “those things” so they relegate that responsibility to them. Our world is becoming smaller each year and it is about time to chuck the old wallet of the 19th and 20th century for a digital one. I am still using a three-year old iPhone but will upgrade to the iPhone 6 after the hoopla dies down. When that happens I will move as much as possible to digital transactions. Thanks Apple for giving us 21st century solutions to our daily challenges. I certainly look forward to your announcements this afternoon. Google Is Making Itself a Lot Leaner and Meaner..
First, Google cracked the code on Internet search. Then the company used its search platform to build the world’s largest online advertising business. Now, the Silicon Valley icon is turning its attention toward streamlining its business to focus on next-generation hardware and services, particularly in the mobile space. Judging by Google’s latest earnings report, the company’s core business remains robust, as the Cupertino, Calif.-based cash machine posted strong sales and profit growth on Thursday, sending its stock price surging more than 4% in after-hours trading to an all-time high for the second consecutive quarter. SOURCE: Google Is Making Itself a Lot Leaner and Meaner | TIME.com. Simply speaking Page and Brin made the internet what it is today. Never mind that Al Gore invented it ( 🙂 ), they changed it from a complex military network into an everyday appliance. For that reason I am an avid fan. Even if I don’t use their browser or some of the other tools they make available. The above article is about how they have grown in the last ten years and where they might be going in the next ten. Will they go the way of Apple or the way of Microsoft? That is a basic question that needs to be answered and I’m sure they are very aware of that difference. Most of us old guys, especially the techies among us, know that Microsoft and Apple happened at about the same time. Microsoft developed a user interface that totally dwarfed the FORTRAN language that was used to program the IBM mainframes. When I was in college desktop computers were still just a dream. Even in college I realized that computers would be a big part of the future so I took a couple of classes to build an initial foundation. I spent hours writing up a very foreign code and then typing it out on punch cards which were used to put the code in the mainframe very early the next morning. Of course there was always that one card of out hundreds that I misspelled something and therefore the whole lot was rejected. Thanks to Google, and yes Microsoft and Apple, the initial experiences of new users are vastly different from my own. SOURCE: 4 Reasons Why You Should Pick Apple iOS over Android | TIME.com. This article contains four reasons why Apple is better than Android. Yes, I know there are strict loyalties among both of these brands but when it comes to viruses and such that should fall by the wayside to some degree. Android is much like Windows in that its source code is pretty much available to any nuanced hacker. That is why Windows produces almost daily updates to fight off yet another hack. Apple on the other hand protects their source code as seriously as Coke does their formula. Without that info hacking into an Apple product is almost like trying to decipher a well designed passcode. It surprised me that Android had almost 33 million malware infections last year and there seems to be no uproar? A Senate panel late Monday accused Apple (AAPL) of using what it called a “complex web of offshore entities” to dodge billions of dollars in U.S. income taxes. 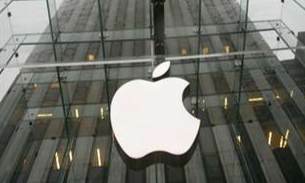 via Lawmakers say Apple dodged billions in taxes – CBS News. If we could just manage to get a Centrist party in control of those folks in Washington one of the first things I would want them to attack is our bloated tax code. The 10,000 plus pages of rules are at the core of the above article. Of course businesses want to minimize their tax load in order to increase their profits. That is, after all, what the free enterprise system is all about. Profits are the sole driver. One of my major themes in my life lately has been around the word “Simplify”. Our world is just getting too complicated when it doesn’t have to be. Let’s throw out those 10,000 pages and replace them with just a handful. Let’s take away the means for corporations to move massive amounts of their income into tax exempt entities. Let’s just make income well, income. If it comes in it is income and you pay a certain percentage of it as taxes to support our government and its business. For the individual that means you pay the same rate for income for profits from your investments as you do from the sweat of your brow. That means if you inherit income you pay your taxes on that amount in order to pass part of your windfall on for the common good. You didn’t earn it so it is taxable income to you. For corporations money coming in is income; doesn’t matter if it was from a foreign sale or one in the U.S. Lets Get a Centrist party in power and direct them to simplify our tax code. After they accomplish that then I would want them to give us “real” universal healthcare; not that pretend extremely watered down version called Obamacare. But first things first I guess and that is getting centrists into power in our government. Click on the logo below to see more about that. Almost as Good As an iPad…. Source: Windows 8: We kick the tyres on Redmond’s new tablet wheels • The Register. Why is it that the once innovative start-up companies turn into stodgy of slow-moving monoliths? Of course in my mind Microsoft is currently at the front of this pack. I remember when Windows first came out to compete with Apple products. They were a young and brash bunch back then. They actually started the business by writing an operating system for the current monolith called IBM. The stories about how all the Microsoft guys would dare to show up in meetings between the two companies without suit and ties was the topic of the day back then. The Microsoft guys just didn’t play by the same rules as those stodgy IBM “suits”. It’s funny how one company can go one way and another a different path. As I mentioned Apple and Microsoft pretty much started at the same time but have taken very different paths since then. Apple continues today to be the innovator to watch while Microsoft who now imitates others and is watched mainly to see when they will fall from dominance. They have now become the IBM that they so loathed back then while Apple, at least for now, continue to bring out new innovative things on a regular basis. Will there come a day when Apple will also go stodgy? Is the death of its founder Steve Jobs a beginning of that process? Maybe, maybe not. When the business sector fully embraces Apple products and they are doing that with the iPad now, Microsoft’s dominance in the operating system and business apps will wither away. Someday I would love to tell the folks at the large communications company that forced our engineering division from Macs to Windows PC “I told you so…” but given how slow big business moves even now that time may well be years away. The “start-up kids” growing into major corporations is on the wane now due to the cash rich companies like FaceBook and Microsoft who gobble them up while they are still infants in the industry. But someday again their will be a brash kid who says no to all that money and becomes the next radical leader to take over an industry. The future economic health of our country, as in the past, depends on that happening. 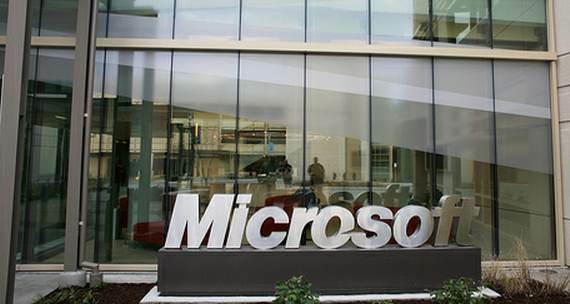 To close will the Microsoft tablet which is “almost as good as an iPad” become a success. Given the recent history of the company I kind of doubt it…. Source:Rumor roundup: The next iPhone – Gadgetbox on msnbc.com. I will state up front here that after several failed attempts at having a cell phone I finally got and iPhone last October. It is everything I hoped it would be. My previous attempts at owning a cell phone proved less than expected. Since I am deaf almost all of my communications via cell is with text messaging. Sometimes my wife uses my phone for voice calls but not often. One of my previous phones was so slooooow.., another insisted on losing its signal daily and then went into a battery draining ten minute reset! I do use my iPhone to check on news and weather and even play games on it when I am waiting for my wife at the mall. I should have learned my lesson earlier when all the competitors kept saying “we are as good as an iPhone”. I was a Mac guy in my professional life until “corporate” declared them off-limits to all us engineers. So I knew Apple’s reputation for ease-of-use and innovations were well-earned. But having said all this I am not really interested in the next generation of iPhone other than just curiosity. This is until the “new thing” is really revolutionary. Until it is obvious that it will improve my life. I suspect I will have this one for several years now. There is a huge after-market for used iPhones so I know probably millions trade-up on every new model. I may not always have the latest iPhone but I expect I will always have a iPhone going forward. So, I guess I am now one of those Apple snobs who turns up their nose at all the look-a-likes out there. If I am going to be a snob then I am glad it is in the gadget area. I would never every be a snob when it comes to people…..